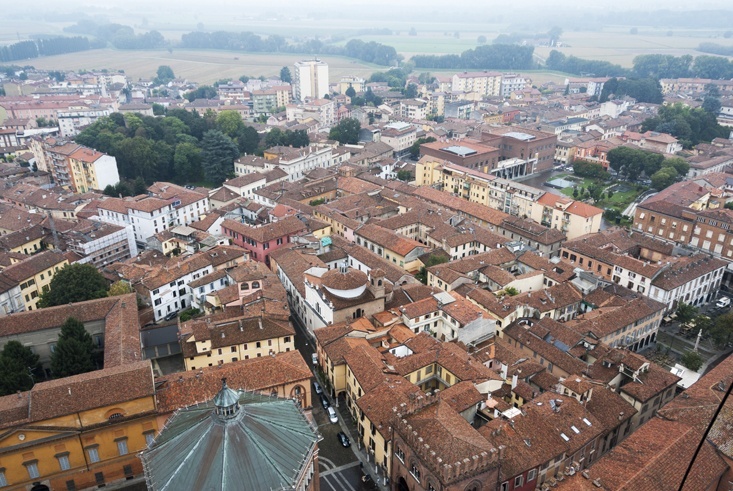 Did you know that the Northern Italian city of Cremona is the birthplace of Stradivari violins? Follow us and visit Cremona’s musical heritage. In the Po Valley, fog is part of the landscape for the best part of the year. So, when I got off the train at Cremona station to a town wrapped in mist, I wasn’t surprised, even after the glorious sun we had in Mantua just the previous day. Not many people seemed to be about, on that chilly and damp day. We climbed the Torrazzo, Cremona’s huge bell tower. Wisps of fog floated over the river Po, far away in the distance beyond the rooftops, giving the wonderful cityscape an eerie appeal. 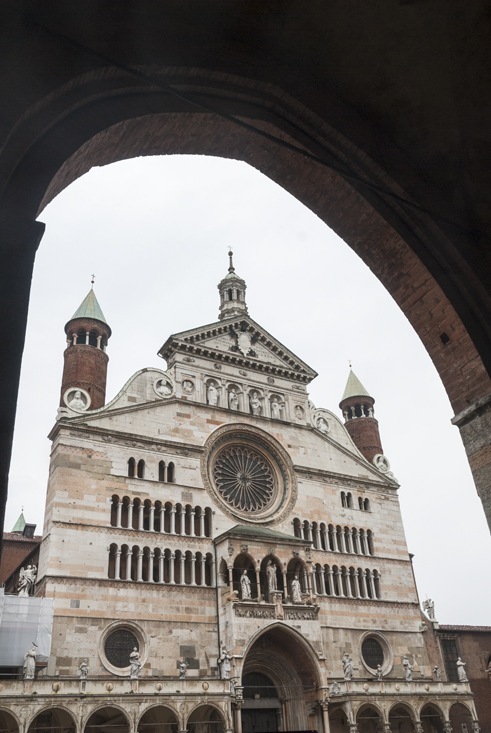 Cremona is worth a visit for its beautiful architecture and churches, and for its delicious cuisine. 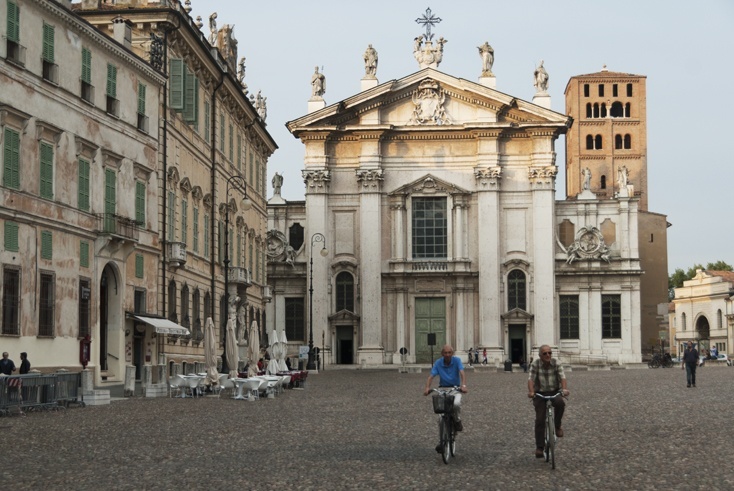 But there are features that many other Italian cities share. What makes Cremona unique is its musical heritage, courtesy of having been the birthplace of Antonio Stradivari, perhaps the most famous maker of string instruments of all time. 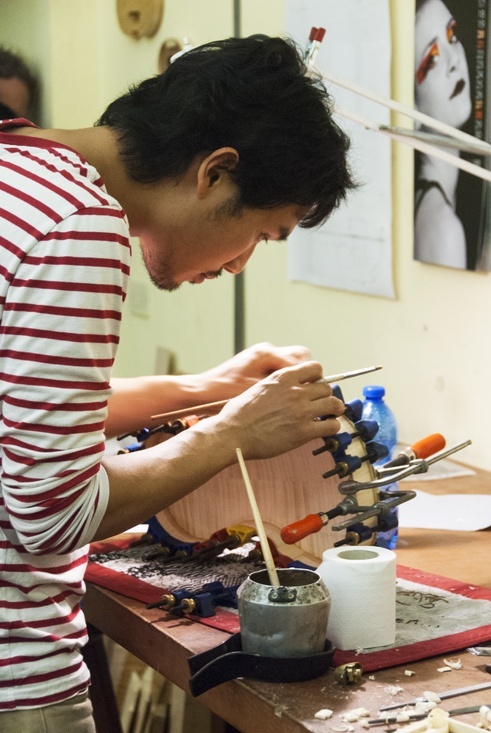 Cremona is a town that lives and breathes music and craftsmanship. Some of the world’s most expensive violins and violas were made here by Stradivari or other distinguished luthers, examples of a craft that deserved UNESCO recognition as immaterial heritage. Now, when it comes to music I am totally ignorant. Having no musical ear at all, I gave up after some pathetic attempts at playing the recorder. When it comes to instrument making, I really haven’t a clue. If you are like me (and I suspect most people are) I would recommend starting your visit of Cremona’s musical heritage at the Museo del Violino, a recently-opened museum that takes visitors step by step to discover the ancient art of violin making. The museum is quite spread out and very information-rich, and it looks a bit daunting at first, if you’re not a violin geek. Delve a little deeper and give the museum a chance, and you’ll find it opens the doors to a world of patience and precision. The exhibition starts with a room dedicated to the origins of violin and the reproduction of a violinmaker’s workshop, with its secrets and tools. Two sections of the museum are especially worth a visit; one is the so-called ‘treasure chest’, containing some of the world’s most precious violins. It’s in semi-darkness, and the violins are all displayed in individual glass cases. It’s incredible to think that some of these instruments were made nearly four hundred years ago, and are still played at concerts. The most precious of all is worth in excess of five million euro. Five million euro, can you believe it? The other is a funny shaped wooden room within a room. Enter, and you’ll find yourself into a violin, with music playing all around you. The room was built to simulate what happens inside a violin. The music bounces on the spruce walls, reaching our ears with a mellow hum. 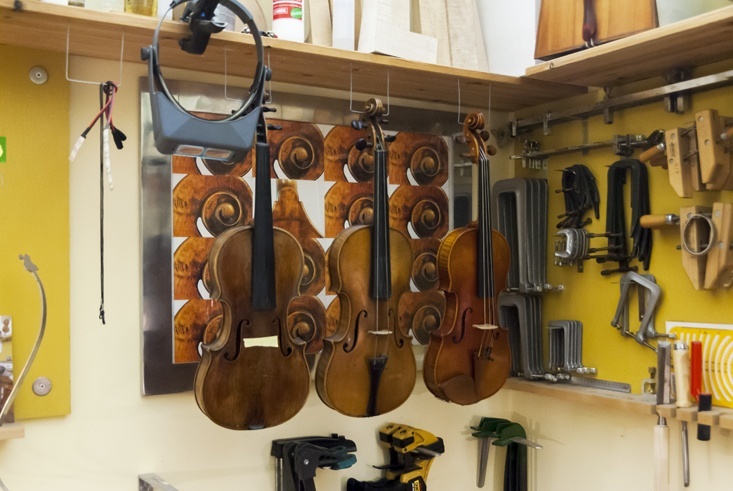 If you really want to get to know the art of violin making, I highly recommend visiting a violin workshop. With 160 workshops in a town with 70.000 inhabitants, you’ll be spoilt for choice. This kind of visits should be arranged in advance, as most violinmakers won’t appreciate groups rocking up at their doors and disrupting their daily routine. Ask the information office for details. We had the privilege to visit the workshop of Edgar Russ, an Austrian-born violinmaker who called Cremona home for the last 30 years. Edgar and his co-workers used the same chisels and scalpels that we had seen in the museum, to craft their wonderful instruments. The workspace was bright and spacious, with music playing in the background. Each worker had an individual desk, surrounded by pictures, tools and illustrations of ancient instruments. Edgar’s life story was fascinating. 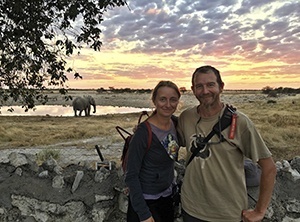 He started making instruments as a child, crafting bongos, flutes from bamboo and drums. 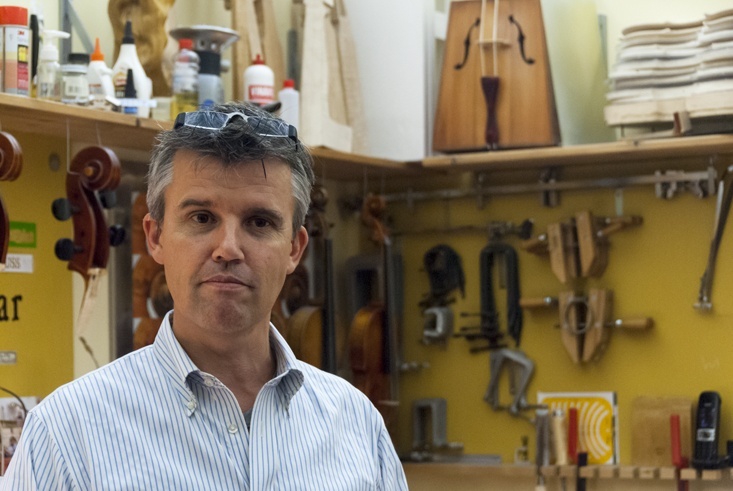 He moved to Cremona at 17 to study violin making, and he has been there since, save for a brief stint in the US. Nowadays, Edgar runs his own workshop, in a side-street of Cremona’s centre. 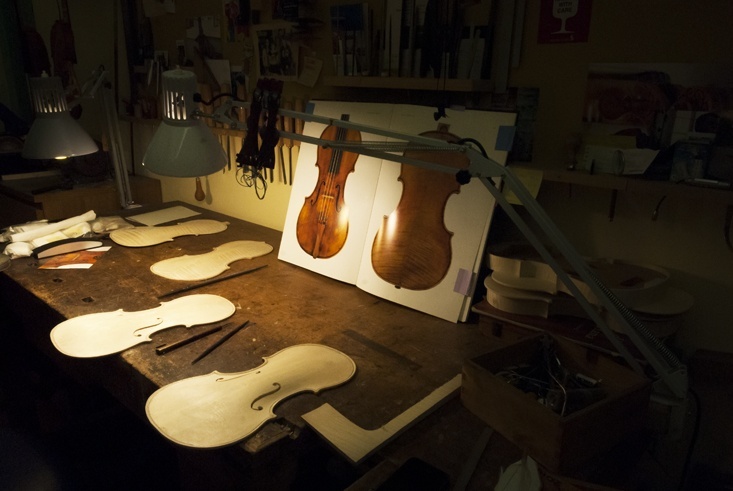 he currently crafts about 10 violins a year, ranging in price from 2000 to 20.000 euro. One of his greatest accomplishments was making 7 violins for Vienna’s Philharmonic Orchestra, perhaps the best orchestra in the world. Watching Edgar and his co-workers is watching a craft that remained pretty much unchanged since Stradivari’s times. Everything is handmade with skill and precision, going against the trend of mass-production that seems to be overtaking everything. It’s curious to know that most violinmakers – Edgar included – can’t actually play the violin. They know how to tune it, to check its sound, but playing it is a different story. After discovering the art of violin making, you might want to actually listen to some music. 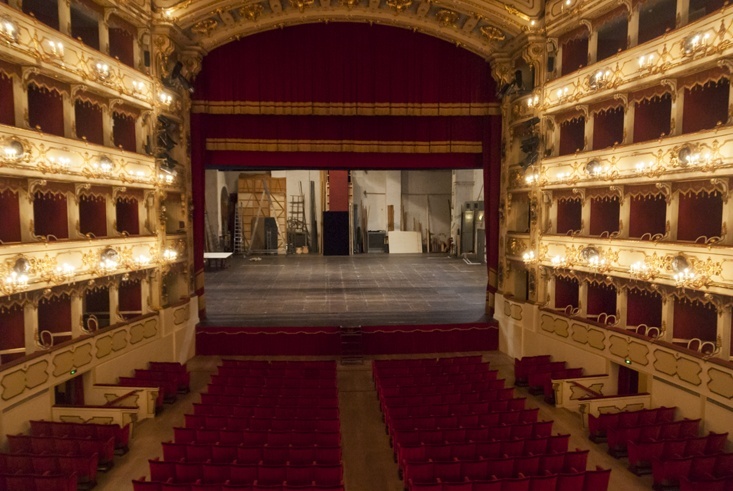 The best way to do that is to visit Cremona’s beautiful Teatro Ponchielli, a smaller version of Milan’s Scala Theatre, complete with red velvets and glilded stuccos. The theatre has an eclectic programme including drama, opera and ballet and – of course – concerts. If you want a night out in an old-world theatre atmosphere, Ponchielli offers the experience at a fraction of the Scala price tag. And after the theatre, it’s time to go on a night walk around the city, to wander the mist-covered streets where the sound of Stradivari violins still resonates, after four hundred years. If one knows how to listen. 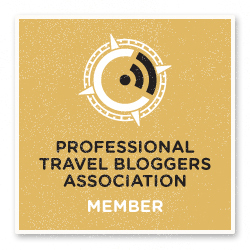 My tour to Mantua and Cremona was possible thanks to the Blogville campaign, managed by iambassador in partnership with Lombardy Tourism and Emilia Romagna Tourism, that we would like to thank for their kind hopsitality. All thoughts and opinions are our own. Why I have never heard about this place before?! I absolutely love music and studied classical for a little in high school. 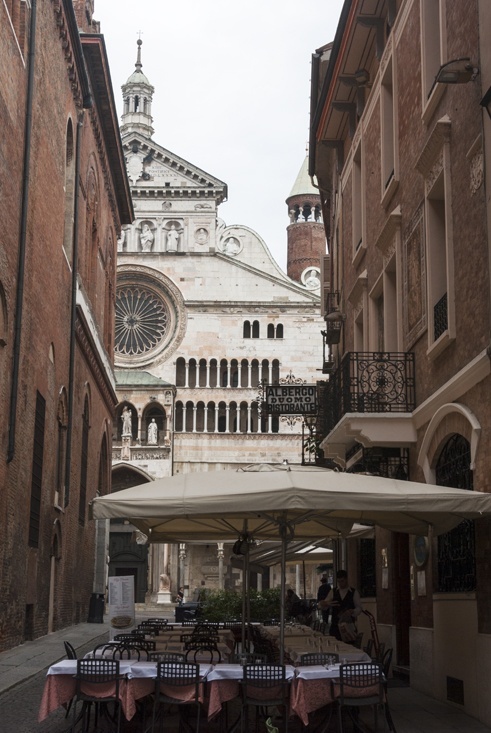 Cremona would be an ultimate destination for me – I don’t play an instrument but I do sing. I would love to see them creating violins which I know are used to contribute to a symphony orchestra! I love this area of Europe – such a fantastic vibe, and you usually walk through the streets to so many musicians busking and filling the air with their magical sounds! 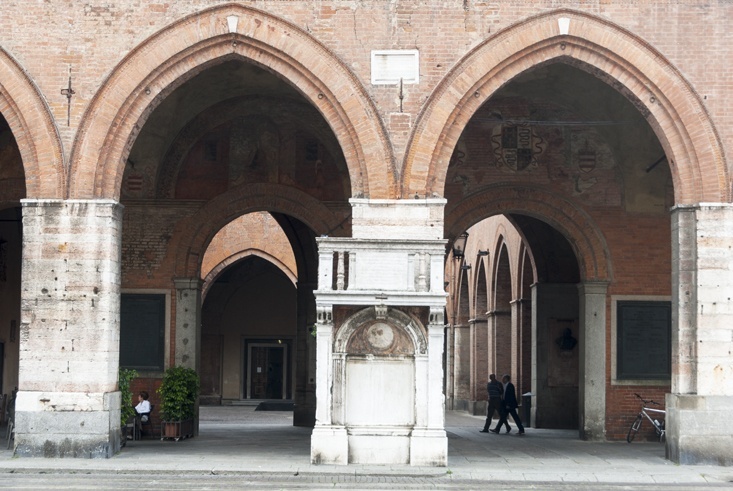 I never heard of Cremona before but it looks like a beautiful, interesting city! Wow. Such a lovely collection of photos here. 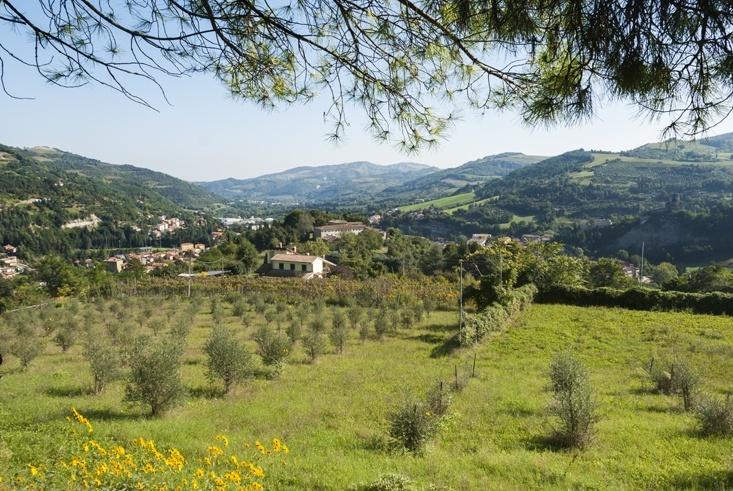 I particularly liked the Teatro Ponchielli shot you shared. Music cities/districts are always the best, it seems. You really captured that with some delightful words and pictures. Thanks. This place looks gorgeous. Oddly, having never been to Italy, I recognise it?! I don’t know why?! This is fantastic! I’m a music lover and have played piano since age 4, studies classical music and learned more instruments in high school. This is right up my alley! I would love to see the old violins and catch a live performance! Oh I would love to visit here!! I played violin growing up so I would love to visit a workshop. Amazing! Get Your Airbnb Discount Here!